UFC women’s bantamweight champion Ronda Rousey says her vote belongs to Bernie Sanders in the presidential race. 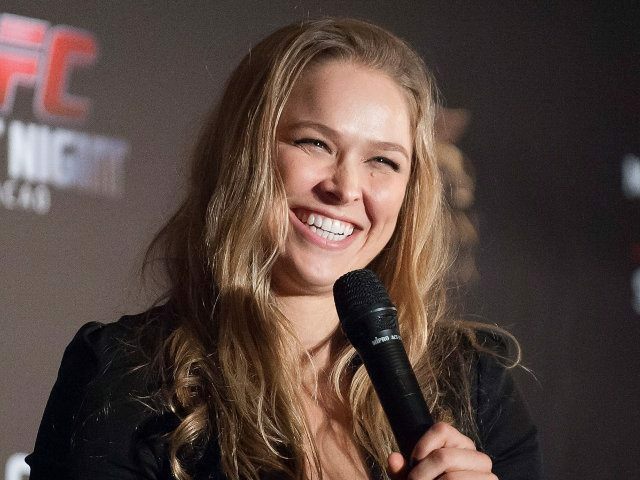 Rousey clued in Breitbart Sports about her politics earlier this year when she informed this writer: “You are what we need to change about this culture.” The February exchange came in response to a question about whether the UFC helps or hurts women’s mixed-martial arts by stacking the top of a card with female bouts that turn away some traditionalists and prevent them from being won over. But testiness and insults preceded the question about women’s MMA, suggesting that Breitbart remains less-than-regular reading for the Queen of the Armbar. Rousey showed more impatience with the press on the recent conference call promoting UFC 193. An MMA reporter asked Rousey about her relationship with married heavyweight fighter Travis Browne, accused of domestic violence by his estranged wife. The query preceded the sound of crickets, and Rousey never returned to the call. Whether traditionalists remain turned off or not appears largely irrelevant at this point as Rousey has brought a new audience to the UFC. Like Bernie Sanders, Ronda Rousey draws a crowd. The August pay-per view she headlined enticed the largest number of buys for the promotion this year and her February win over Cat Zingano attracted a healthy audience despite the absence of much of a supporting cast on the card. Her roles in Entourage, Furious 7, and The Expendables 3, appearance at Wrestlemania, and ubiquitous presence on commercials and interview programs gave the UFC a star that transcends the sport in the aftermath of losing Brock Lesnar, Georges St. Pierre, and other fighters with crossover appeal to casual fans. As with Sanders, a woman stands in the way of Rousey’s ambitions. This weekend she faces perhaps her toughest test as a mixed-martial artist in Holly Holm, a longer, taller striker who enjoyed great success as a professional boxer. Rousey, making a mark on the sport through graceful judo throws and impressive submissions, now boasts an effective stand-up arsenal as well. Despite Holm’s impressive boxing pedigree, tutelage at Greg Jackson’s New Mexico gym, and undefeated MMA record, Rousey enters the fight enjoying odds of 10-1 or greater at various bookmaking sites. 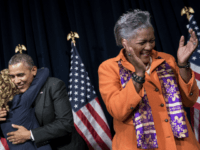 Her candidate faces odds perhaps greater than her opponent. Should Sanders not surmount his woman problem, Rousey says she’ll vote third party rather Hillary Clinton.